Theft is a broad legal term that applies to multiple different crimes, and this often causes confusion when addressing this criminal charge. No matter which particular crime is committed, a theft conviction incurs mandatory punishments that vary with the severity of the offense. The accused must also deal with the embarrassment of being labeled a thief, and will have to deal with the repercussions of obtaining a criminal record. 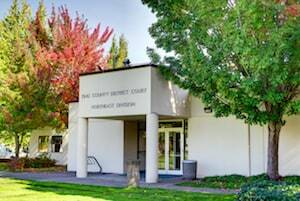 Our Redmond theft lawyers can explain the seriousness of these charges in more detail, but you need to know that prosecutors seek maximum punishments in these cases. Your lawyer will aggressively pursue the dismissal of your theft charges, but if this is not possible they will fight to have your penalties reduced. If you take money or property that belongs to someone else, the crime is considered a theft, and it doesn't matter whether force was used. Fraud, robbery, shoplifting, and embezzlement, and some other crimes all qualify as theft in Washington State. If a deadly weapon like a gun or knife was used during the theft, or the target was as financial institution, a conviction could mean a long stay behind bars. First Degree Theft - When the value of the stolen merchandise was more than $1,500, it is considered a Class B felony in Washington, with penalties that include up to ten years in prison and $20,000 in fines. Second Degree Theft - If the stolen money or property is valued between $750 and $1,500, a conviction means a mandatory prison sentence of up to five years and $10,000 in fines. Third Degree Theft - This is a gross misdemeanor, and is charged when the stolen property is valued at less than $750. 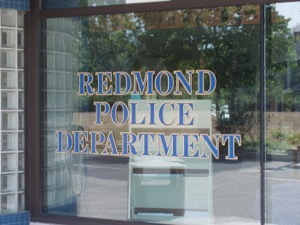 A conviction may result in up to $5,000 in fines and a year in Redmond jail. Defending someone against any theft crime in Washington State is a complicated process. Our Redmond theft attorneys can look into the possibility of enrollment in a diversion program, which prevents you from obtaining a criminal record, but is not available if you have prior criminal convictions. 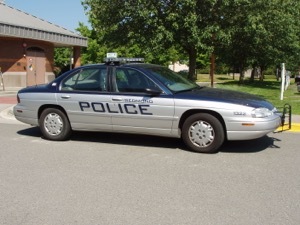 If you've been accused of theft crime in Redmond and have never had any previous legal trouble, you may be able to have your charges lowered or your punishments reduced. Our Redmond theft attorneys believe that everyone deserves a second chance, so we will act as your personal advocate and trusted advisor on all legal matters. The Redmond theft lawyers at the Law Office of Jason S. Newcombe have more than three decades of combined experience that we can use to protect your legal interests. Sometimes multiple charges may accompany one theft. As an example, consider the fact that if you attempt to resell stolen property you could be charged with theft and trafficking of stolen goods. In these cases, you need a quality criminal defense attorney who has experience in all areas of the law. Schedule your own free consultation, and let our Redmond theft lawyers help you address theft charges head-on.